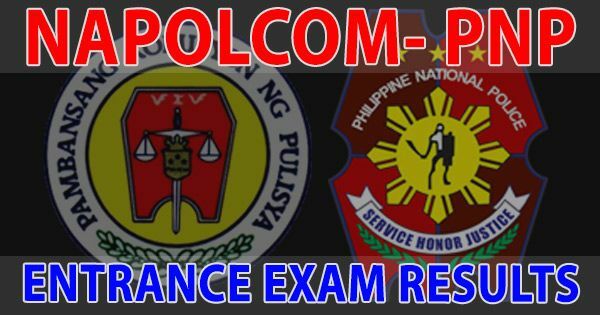 A total of 2,705 or 12% out of the 22,541 examinees passed the Philippine National Police (PNP) entrance exam conducted nationwide by the National Police Commission (NAPOLCOM) on April 24, 2016. This was announced by NAPOLCOM Vice-Chairman and Executive Officer Atty. Rogelio T. Casurao as the Commission released the list of successful examinees in the PNP entrance and promotional examinations. In the promotional exams, only 5,426 or 28.80% out of the 18,839 police examinees passed. The passing percentage rates per exam category are as follows: for Police Officer Exam, 19.81% (1,505 of 7,599 examinees); for Senior Police Officer Exam, 35.36% (3,483 of 9,849 examinees); for Inspector Exam, 29.18% (337 of 1,155 examinees); and for Superintendent Exam, 42.80% (101 of 236 examinees). Vice-Chairman Casurao said that the 12% passing rate in the entrance exam and the 28.8056% passing rate in the promotional exams is 6.01% and 13.78% lower respectively, than the 18.01% and 42.58% passing rate in the previous entrance and promotional exams (October 25, 2015). “The low passing rate in both exam categories may be attributed to the Commission’s continuous upgrading of standards on its police examinations in line with its sustained effort to professionalize the PNP by ensuring that only the best and most qualified individuals are recruited and promoted in the police service,” Vice-Chairman Casurao said. The list of successful examinees is now posted at the 7th floor, NAPOLCOM central office located at the DILG-NAPOLCOM Center, NAPOLCOM Bldg., EDSA Corner Quezon Avenue, West Triangle, Quezon City and at all 18 NAPOLCOM Regional Offices, and can be viewed at the NAPOLCOM website at www.napolcom.gov.ph.